What time does the Eclipse begin? What time does it end? When is the Maximum Eclipse? The July's eclipse will be entirely visible over central and eastern Africa, eastern Europe, western Asia (brightest area on the map below). Western Europe and South Africa will be able to observe the eclipse right after sunset (moonrise). Australia, central and eastern Asia will observe the eclipse just before sunrise (moonset) The July's lunar eclipse will not be visible over North America and easternmost tip of Asia (darkest area on the map). See the map below for more information. 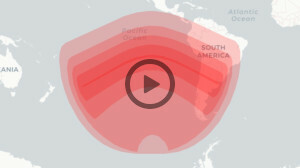 July 16, 2019 Lunar Eclipse Visibility around the World. 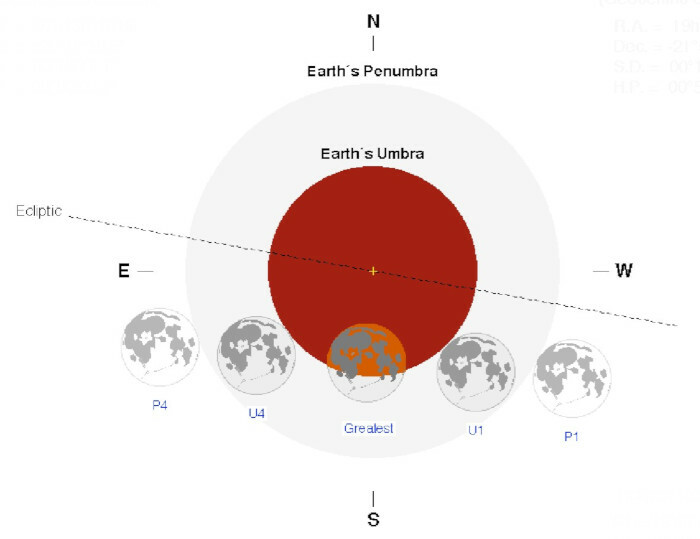 "Time of the Lunar Eclipse of July 16, 2019" is part of time.unitarium.com.